Squabbles is a fun word game of very cross words! Each player forms their own interlocking crossword game on a table surface and works independently. Players may arrange (an re-arrange) the positions of their letter tiles as often as they need to complete words. All ties have a face value which, along with a few other special rules, is what scores at the end of the game. Play continues until all tiles have been used. 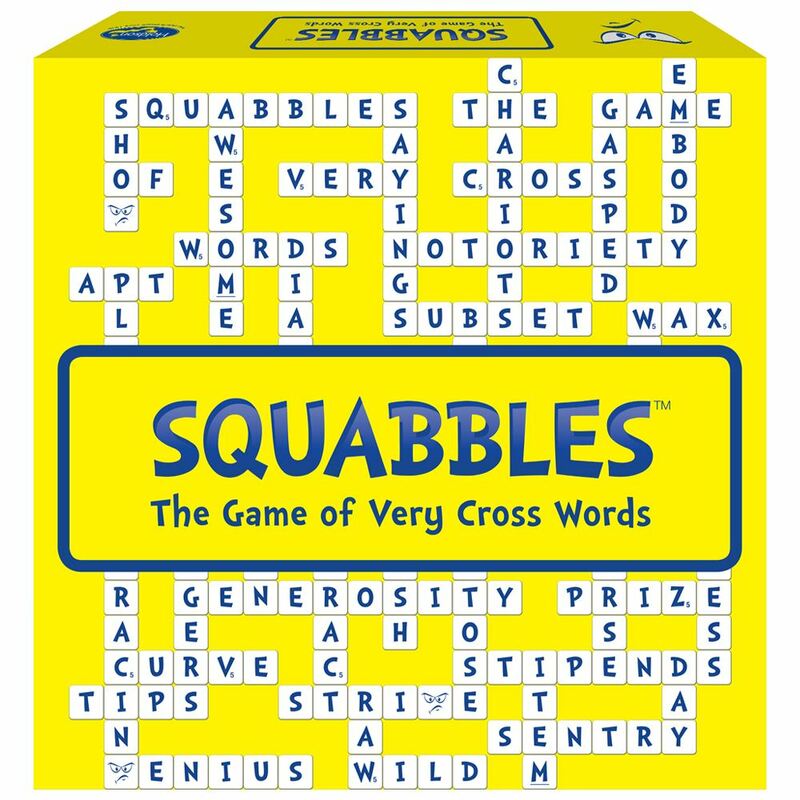 The scores on the tiles are added up, all 8 letter words get a bonus 10 points, and any bonus points are scored. For 2 to 6 players. Age 8+ years. Made in New Zealand by Holdson.